Tasha was born in Jamestown, North Dakota, but grew up in Fargo, North Dakota. In 2006, she graduated from Minnesota State University Moorhead with a Bachelor of Science in the Paralegal program. She received her law degree from the University of North Dakota School of Law in 2009. Tasha is licensed to practice in North Dakota and Minnesota. 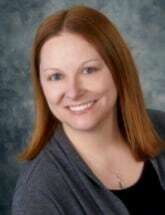 She is a member of the State Bar Association of North Dakota and the Minnesota State Bar Assocation. Her practice is primarily focused on family law issues, such as divorce, custody, and adoption. Tasha also handles debt collection matters and will drafting.